The best designed and built camping and gear trailers EVER. American Family RV is excited to announce that we are now a Sylvan Sport GO dealer! 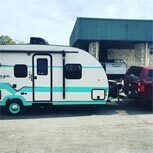 Take a look at SylvanSport’s GO Camping Trailer, a one-of-a-kind mobile adventure trailer known as the coolest. camper. 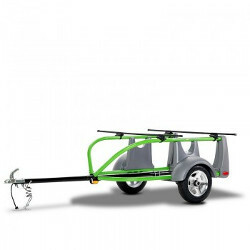 ever, and the GO Easy, the most versatile cargo hauling utility/camping trailer on the market. Most Innovative Sport Utility Trailer Ever. The GO is the a one-of-a-kind, easy to manage camper. Weighing in at 840 lbs., the GO is lightweight, flexible, and easy to manage. 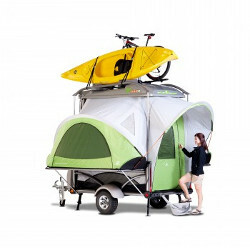 It is the "Swiss Army Knife" of camping trailers and can carry up to a dozen boats, bikes, boxes, or combination of gear! 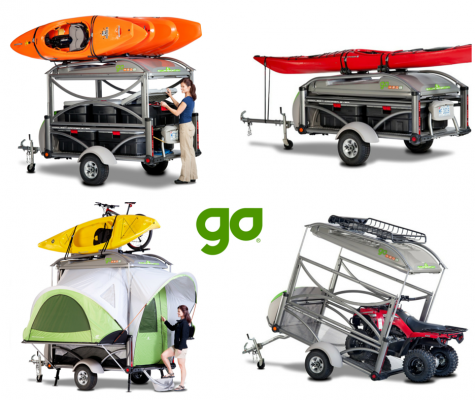 Whether you are kayaking, canoeing, biking, surfing, ATVing, or even hauling a lawn mower or a new refrigerator, the GO has got you covered. So pack up all your gear, and when you arrive at your destination, open up the spacious tent, relax, and enjoy the Coolest. Camper. Ever. Innovation and performance reach new levels with the SylvanSport GO Easy sport utility trailer. It’s ultralightweight and towable by virtually any small car, even a motorcycle. It can be stored upright it your garage, taking up only 8 square feet of space, and with a 30lb. tongue weight, it is also easily maneuvered by hand, allowing you to wheel it wherever you want to go. Load it up with your bikes, boats, boxes, and all of your gear and be ready for whatever adventure comes your way! The SylvanSport GO does it all! Haul your bikes, boats, ATVs, or any other combination of gear, and then camp out in the revolutionary tent design! Comes with rear awning, 4 air mattresses, 2 bed/table panels, spare tire kit, and more. 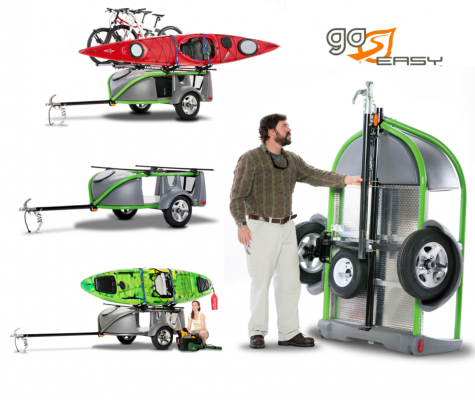 The Go Easy is the most innovative sport utility trailer ever, lightweight, and towable by any small car, it’s specially designed to carry all your boats, bikes, cargo, and coolers with dry storage, diamond-plate cargo deck, and plenty of rack space. 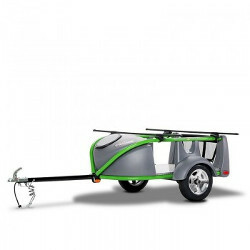 The coolest new cargo hauling utility/camping trailer. The GO Easy is specially designed to give you years of trouble-free bike, boat, and cargo hauling joy. With a 36? load height, it’s the easiest way to load up all your gear and GO. Give Us a Call at 800.338.7123 to Order Yours Today!